Not many artists have the ability to harness something greater than themselves but it seems that Eric Sean Nally has found the torch laid down by Freddie Mercury, picked it up and run with it. Not that I am saying Foxy Shazam is Queen or ever will be Queen but they have potentially filled a gap left by one of the greatest musicians of all time. 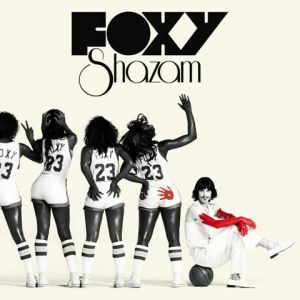 Formed in Cincinnati in 2004, Foxy Shazam was named One of the 100 bands you need to know by the Alternative Press and have written songs for Meatloaf. Their self titled album, released in April 2010 takes you on an auditory journey that can only be described as large. You can listen to the album in your car, in your room, in your iPod and it sounds amazing but scaling it up to something larger, say a stadium tour with 100,000 other fans the music is still going to sound just as good. Not many albums or artists can scale that way and I think it is an absolute sign of longevity and staying power. My hope is that have not exhausted their brilliance in one album.